The first is that I am really lazy. I know I usually start my mornings darting around like a drunk hummingbird, making sure the house is clean, and mouths are fed, and all the things are done, but the fact is that I only do it so I can be lazy for the rest of the day. The second thing about me is I am -I wouldn't say "cheap" -but I like my money in my bank account where I can see it. I hate wasting it. And well, actually, I can be pretty cheap. I don't like spending money on things I don't think are necessary. I'll be honest, I have no idea how much disposable diapers cost, but I read somewhere that it costs around $800 a year to diaper one kid. And all I thought was man, I'm pretty sure I didn't even pay that much for my first car. And that is money you're throwing in the garbage? Literally. When I was pregnant for my oldest, I bought my entire stash (BG pockets) used from my sister for about $200. I honestly had no idea what I was doing -the info out there is overwhelming. I basically threw a dart and it landed on "pocket diapers!" so that's what I went with. It was a good deal for a full stash of name-brand pockets. 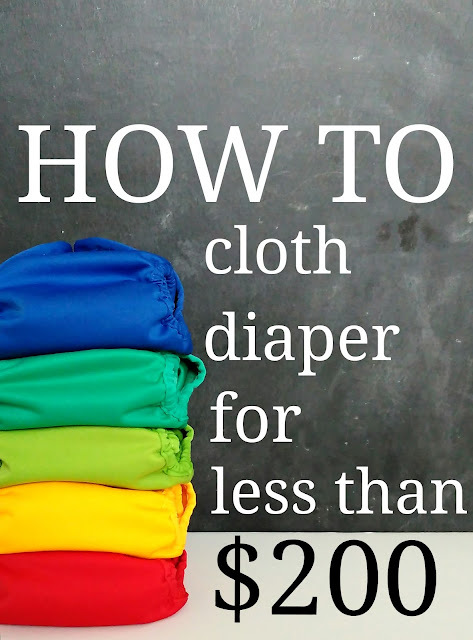 It wasn't until well after I began my cloth diapering journey that I found out how CHEAP you could buy a brand-new diaper stash if you just go with covers. This post may contain affiliate links. This means if you click through and make a purchase, I recieve a small commission for my referral, at no extra cost to you. As always, I only recommend products I LOVE and use myself. I know a lot of people jump straight into all-in-one or pocket diapers because they are "most like disposables". There's a huge misconception that covers are harder to use than pockets. But seriously, I think pad-folding a flour sack towel (FST) or prefold in a cover is the most simple route. -require no stuffing -OR unstuffing when dirty. After almost two years into my cloth diapering journey, I can attest that this is the easiest way for me to cloth diaper. I now highly recommend you go with covers and FST if you are just starting out with cloth diapers. Since FST are single-layered, natural fiber, they are super forgiving if you haven't perfected your wash routine. And they are ridiculously cheap ($1 or less). If you reuse each cover three times before washing (I usually use a lot more than that), it comes to just over $5 per diaper. My current stash cost me a whopping $160 and will cloth my two (or more, if I'm so blessed) kids FOR THEIR WHOLE DIAPERING PHASE. This is a (very generous) stash for just under $145. I left a little bit of grace money for the only diaper accessory I recommend (SERIOUSLY! This doesn't need to be complicated! ): wet bags. I personally love Planet Wise brand. I like a pail liner (I don't even think 2 is necessary because it does not need to be washed every time you wash diapers) and a travel bag or two, depending on how frequently you go out. Obviously, everyone has their own preference for their type of cloth diaper but I highly recommend you start with covers and pad-folded FST if you are just starting. You aren't taking a huge financial risk and it is MUCH easier than it is made out to be. Please be sure to let me know if you have any questions whatsoever! I want you to realize how SIMPLE it can be to go green -and save it, too! Don't forget to follow me on Instagram and Pinterest for more cloth diapering tips and reviews! 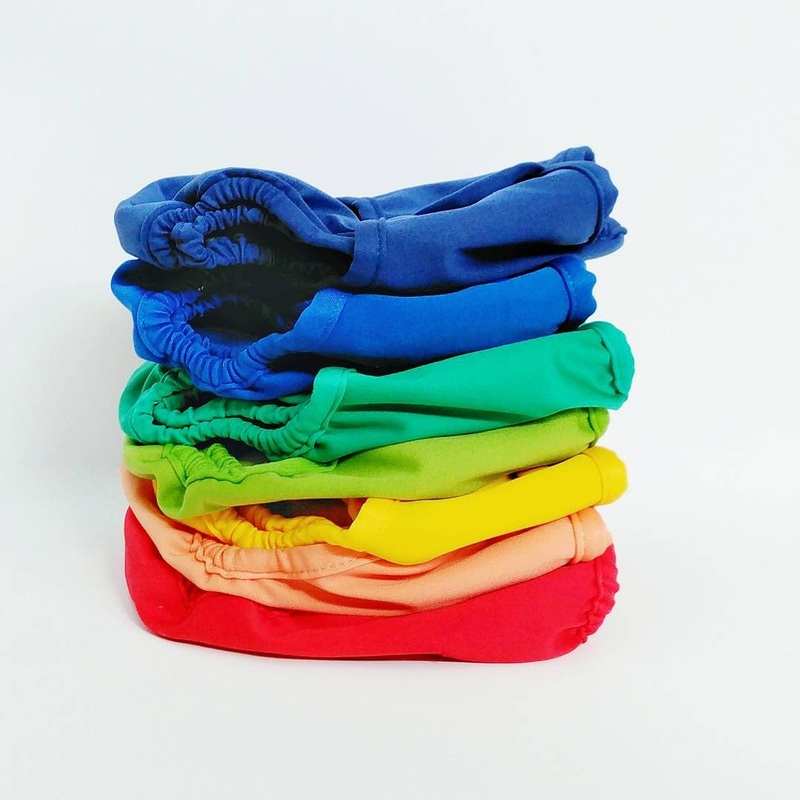 Check out my complete Cloth Diapering Guide! 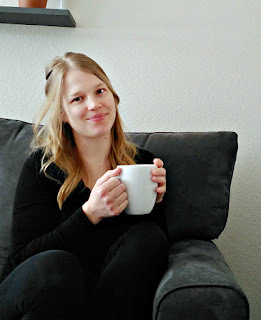 We are currently planning for our first child and I loved your input on cloth diapering. Do you have any recommendations for cloth diapering a newborn this way? Or is it all the same? Sorry, I took a little blogger break and am just jumping back in! I actually have attempted to cloth diaper newborns twice with flour sack towels. I have never successfully mastered the first six weeks! Newborns are crazy heavy wetters so my babies soaked their diapers in about 30 minutes. I know there's people that have clothed newborns this way, with newborn covers, but I am not one, yet. I'm hoping I will have the chance to try again. I would likely use a flour sack and cloth wipe as a booster! Out of all the brand's you mentioned for buying cloth covers, which would you recommend for a newbie? The brand's are so overwhelming....it seems every brand thinks they are the best! Thank you for all your articles on cloth diapering. You make it look like it can be conquered. This will be sooo helpful in the near future. Thank you Thank you! Brands can definitely be overwhelming when you first start out! 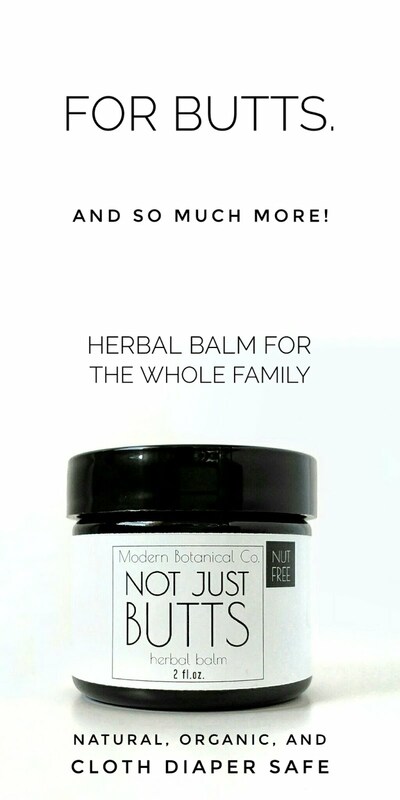 I truly do recommend trying a variety of brands, because it is such a personal preference which you will like best, and they all come with slightly different fits and features. Reading other's reviews can help guide you too, but I can honestly say that I have never tried a brand that I absolutely did not like. I personally love Buttons and Grovia (higher price point) the most, because I love a trim fit, and a diaper that will hold a pad-folded insert in place really well. Thank you for your comment, and for reading! Enjoy your cloth journey! Hello! I love your input on cloth diapering, as it is such an overwhelming topic, and the information you find online can be so conflicting! 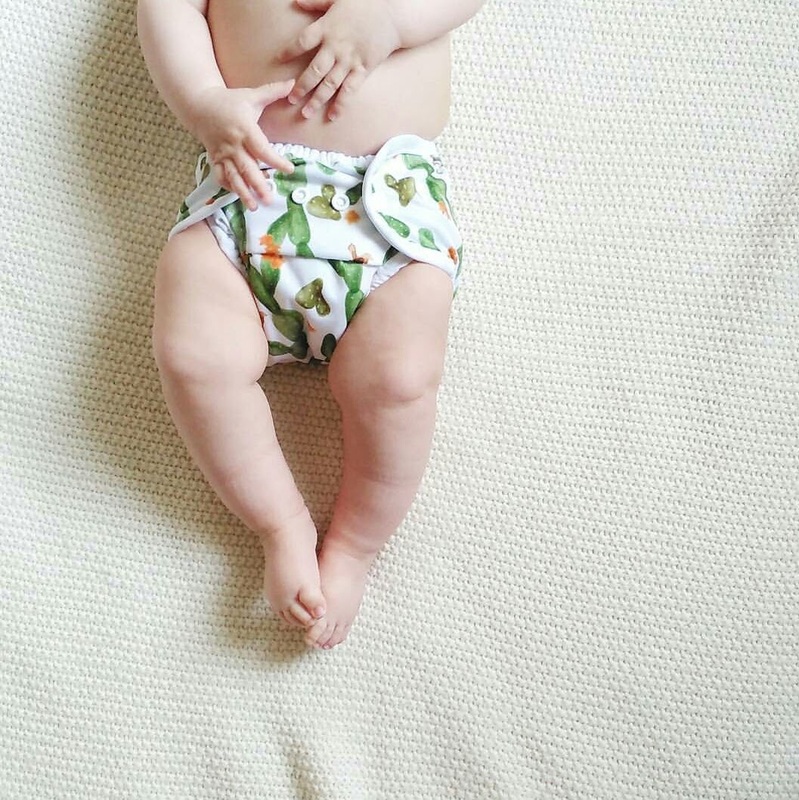 Can you tell me if you use one size of diaper cover throughout the entire diapering process with your kiddos, or do you have a few different sizes that you switch to as needed? Thank you!! I'm sorry it's taken me awhile to respond, I just had my baby and took a bit of a break. I do use different diapers for the newborn stage (the first 6-8 weeks), but beyond that, they are all the same. This is with the exception of the Thirsties Size One duo. It is the only "sized" diaper I like and use. It fits my kids until about 8 months old or so. I honestly just prefer the fit of one-size cover over sized covers, and they are much more economical.